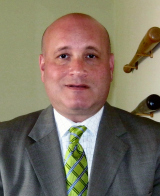 TAPCO Underwriters Inc., a Burlington, N.C.-based managing general agent specializing in high-volume, middle-market excess and surplus insurance lines, has hired Stu Korn as a marketing representative for New Jersey, Pennsylvania and New York’s Hudson Valley where he will be responsible for business development and distribution. Prior to joining TAPCO, Korn worked for Preferred Mutual Insurance as a business development analyst. At Preferred Mutual Insurance, he spearheaded the company’s efforts to create more effective, profitable relationships with key agencies throughout the State of New Jersey. In addition to being an active member of PIA of New York/New Jersey and Big I of New Jersey, Korn currently holds the Association of Risk Management (ARM) and Certified Professional Insurance Agent (CPIA) designations. TAPCO was founded in 1983 in Burlington, N.C., and specializes in the placement of Excess & Surplus lines business for both commercial and personal lines insurance accounts. TAPCO has in-house binding authority to write more than 1,000 classes of business for a wide range of risks, including all types of property; general liability; inland marine; dwelling and homeowners; miscellaneous professional and D&O; vacant and builder’s risk; liquor liability; and general, specialty, and artisan contractors; personal umbrella, and other lines. The company has five offices that employ 180 people, service 18,000 agencies and currently write in 25 states and Washington D.C.